An electrical fire on Sunday morning in a building that houses the offices of several news networks in northwestern Arizona forced the networks to move temporarily and another to end their live broadcast. WASHINGTON – A Sunday morning electric fire in a building that houses the offices of several news networks in northwestern Arizona forced the networks to temporarily move and another to end their live broadcast. D.C. Fire and EMS responded to a cashier alarm on the eighth floor of an office building in the 400 block of North Capitol Street Northwest at 8:30 a.m. Sunday. The building houses NBC News, FOX News, C-SPAN and MSNBC. No injuries were reported, but smoke and water caused damage to the NBC facilities. 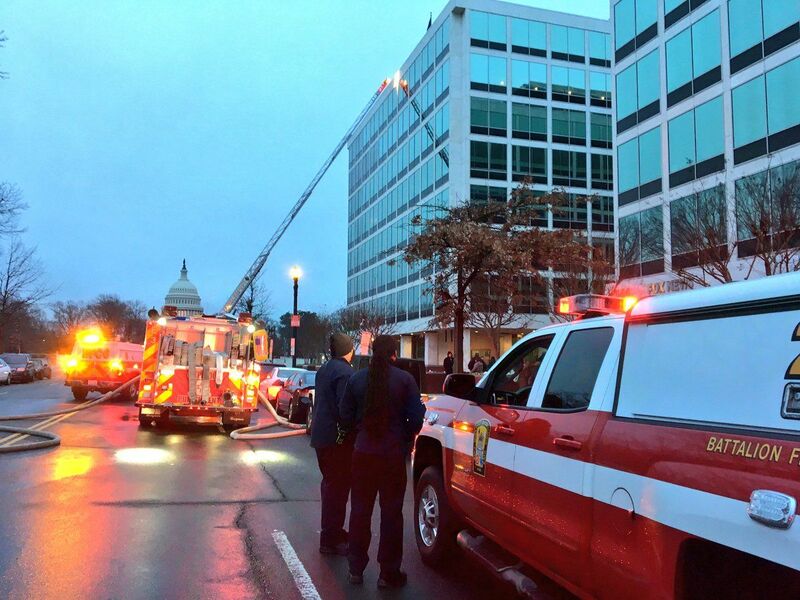 The sprinklers had been activated and the fire was extinguished in about 20 minutes, according to D.C.'s tweets. Fire. C-SPAN's operations were interrupted, but they have since returned to normal program operations and a Fox News spokeswoman told WTOP that all employees were evacuated. FOXNews Sunday "and" Mediabuzz "were relocated to WTTG, the local Fox station in D.C. Chris Wallace was there at the beginning of" FOX News Sunday ". "It was a great effort to rush to do this within two hours and move a complete operation to the station to put the program on the air," the FOX spokeswoman said. I like WTOP on Facebook and it follows @WTOP on Twitter to start a conversation about this article and others.